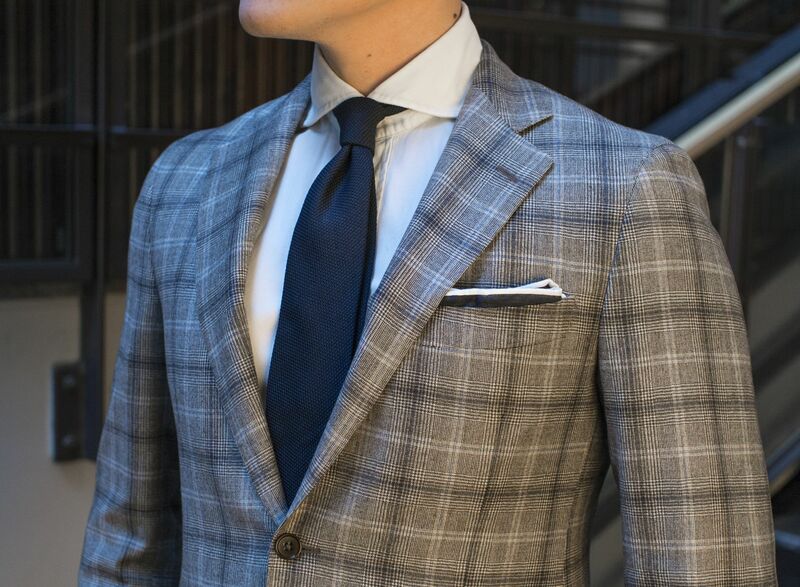 Lately I've been forced to start building my more formal wardrobe, and one of my recent purchases includes this Tombolini Prince of Wales check suit. Now, this clearly isn't a very formal kind of a suit, but still a step up from my usual sport coat combinations I like to wear. 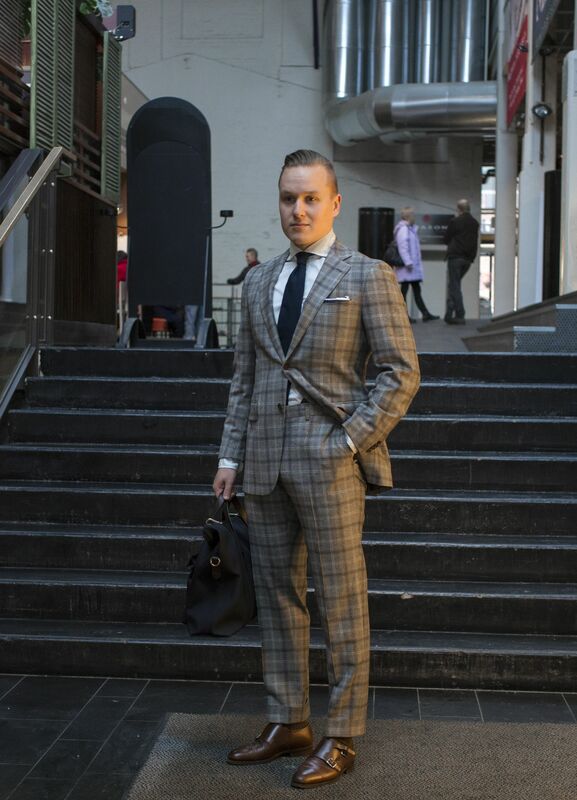 Furthermore, every versatile has a few patterned suits in my opinion. The suit is from Tombolini, shirt from SuitSupply, untipped grenadine tie from Shibumi Berlin, pocket square from Kent Wang, brown polka dot suspenders from SuitSupply, brown cotton socks from Corgi, brown double monks from Meermin and the briefcase from Mismo. 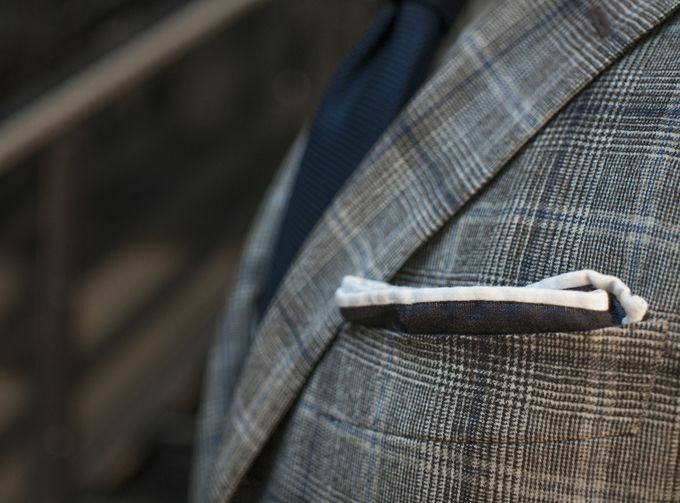 A very plain tie and pocket square often work best with a patterned jacket or a suit. The brown, espresso, navy, blue and grey colors form one of my favorite PoW checks of all time. Two inch cuffs, of course. 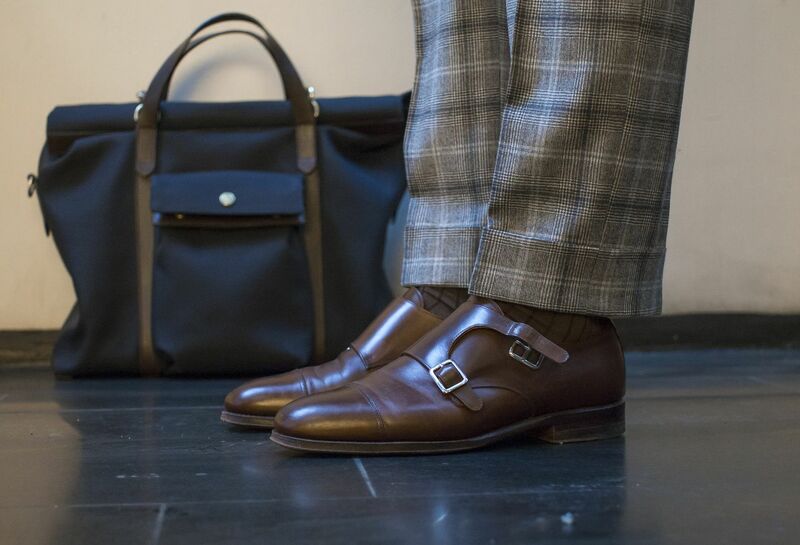 Meermin's double monks have still seen occasional use during the mild winter.